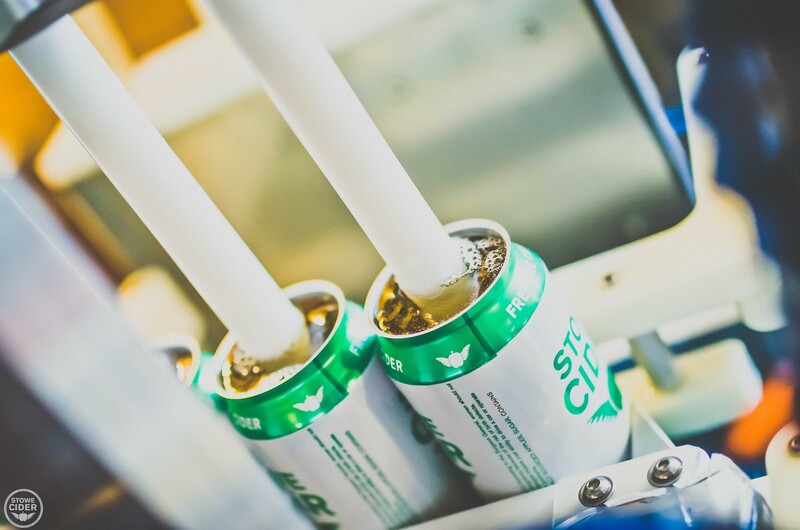 This weekend, Stowe Cider will celebrate its fourth anniversary with a festive move from its original production facility north of Stowe village to the larger fermentory it's been building across town at 17 Town Farm Lane. Stowe Cider purchased the building this summer. With financing through Union Bank of Vermont & New Hampshire and the Vermont Economic Development Authority, the company began construction on the 6,000-square-foot space in May. The move follows the cidery's growth into a new tasting room at 1799 Mountain Road last summer. While the fermentation floor is just twice as large as the old, according to general manager and co-owner Mark Ray, the building's 30-foot ceilings allow the cidery to grow up — rather than out — by adding towering fermenters and bright tanks that each holds 160 barrels of juice. The building also provides office space and a loading dock, room for a to-be-purchased canning line, and outdoor access for events such as the company's fourth-anniversary Jam for the Land party happening this weekend. Ray said the tasting room will stay put on Mountain Road for now. "We have another year lease on that space," he said, "and our priority is production right now. We're taking it one project at a time." That seems sensible: In 2013, the company completed its first year in business with an output of 5,000 gallons of cider. Four years later, it now produces upward of 90 barrels (about 3,800 gallons) of beverage per week. It employs six workers and ships product throughout most of New England, parts of New York and to Washington, D.C.
Ray credited much of that growth to packaging: "It was really the transition out of [22-ounce] bomber [bottles] to cans that took us to the next level," he said. "People in Vermont have a very active lifestyle, and with the Alchemist setting tone with 16-ounce cans in four-packs, that is definitely what people want here in the Northeast." As for the future, Ray said he's grateful to see sustained growth in the cider market. "Seeing things still on the rise allows us all to take a deep breath," he said, "and to think, OK, cider is not a fad." This weekend, Stowe Cider's Jam for the Land event will feature pours from the cidery and Ten Bends Beer, eats from the Blue Donkey and Jamaican Supreme food trucks, and tunes from Gang of Thieves. Proceeds go to the Stowe Land Trust.